Opendoor says open sesame to home sellers This is the second in a series of articles about iBuyers. IBuyers are the latest iteration of change in the Atlanta real estate market and use technology as an alternative way of selling your home. Atlanta is ground zero in war among iBuyer Brokers: Knock, Opendoor and Offerpad…. New Roof An Unloved Home Improvement How many times have I written “New Roof” in a description of a property I am selling? But in truth a new roof is an unloved home improvement. Who really wants a new roof? Yes, yes , those with leaky roofs are certainly in want of a new roof…. 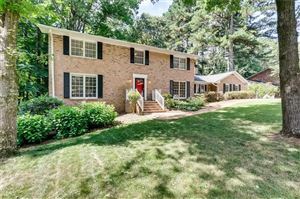 2528 Varner Drive Improved Price The list price of 2528 Varner Drive NE Atlanta GA 30345 has been improved from $399,900 t0 $389,900. This home is move in ready and wont last long at this much imprived price. Call or text Sally English for easy showings.